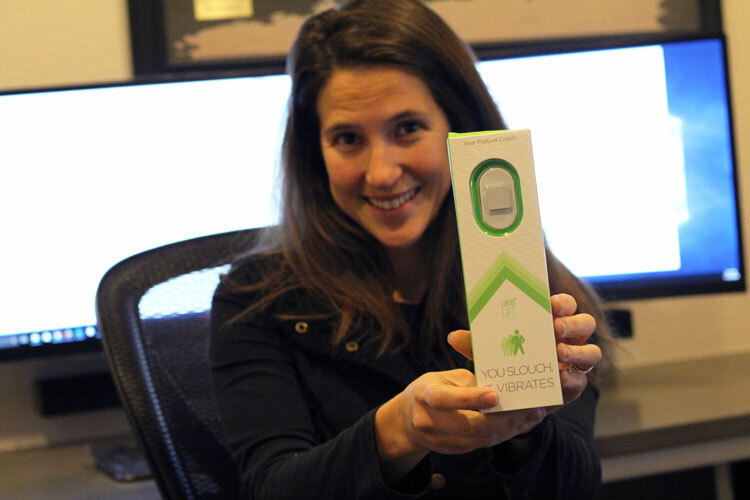 Disclosure: I was sent the Lumo Lift posture sensor for review purposes. Have you heard of Lumo Lift? It is a genius little device will help you achieve better posture and keep you from slouching! You slouch, it vibrates. It’s that something?! Lumo Lift comes with everything you need to begin the process for better posture! 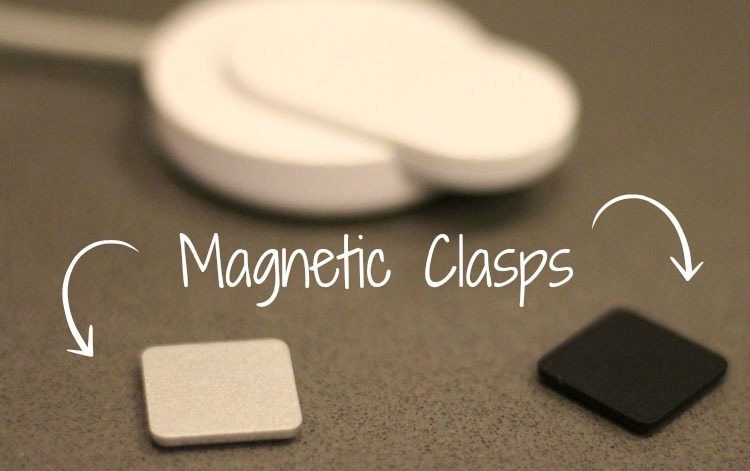 The magnetic posture sensor is not bulky on your clothing – you don’t even know it is there. It comes with 2 different clasp colors to choose from and you can purchase others it you want. I place my Lumo Lift under my top layer. It can be attached to my bra or undershirt easily. 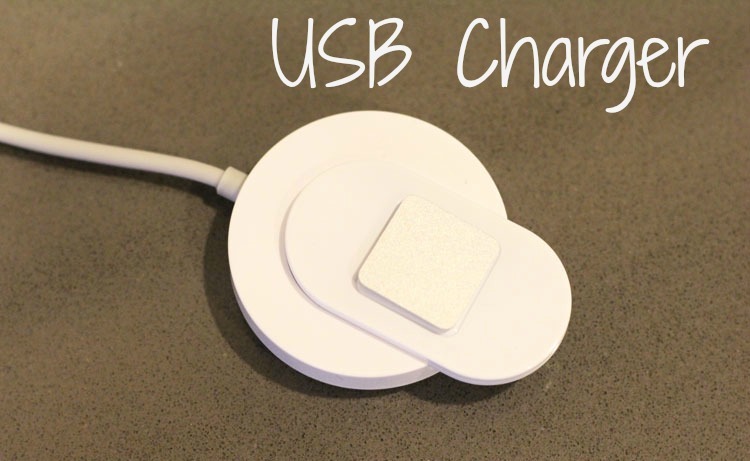 Fully charge the Lumo Lift on the USB charging dock. Follow along on the app to see your posture feedback! Basically you are in charge of the posture settings. You tell the Lumo Lift the posture you’d like and then you work to keep that posture throughout the day. The app on your phone tracks your posture and will send a vibration reminder to you when you need to straighten up! First of all, I spend a lot of time on the computer and often find myself in a completely slouched position, I try to fix my posture and within minutes I noticed I am slouching once again! Ugh! At the end of a day I often feel aches and pains in my back and neck. I found the Lumo Lift to be very self explanatory and what I needed to help me with my poor posture! The first day I was beyond irritated with this little magnetic clip! I felt like I was never achieving good posture and the posture meter was constantly vibrating at me! The Lumo Lift would buzz at me multiple times a minute! I would re-adjust the settings over and over. It was draining my patience quickly. I didn’t want to give up on the Lumo Lift (and my much needed posture help) so I kept at it. Slowly but surely the Lumo Lift and I were understanding each other and getting on the same page. Looking back, I set my posture a little to straight up and down in the beginning. I needed to be easier on myself! I needed to figured out what a good posture setting was (yet attainable) for me. I had to take baby steps to get better and better posture. I could not fix all my posture problems in the first day! Now, everyday I adjust the Lumo Lift posture settings just a little more. I’ve never had a personal trainer, but this is the closest I’ve had to one! 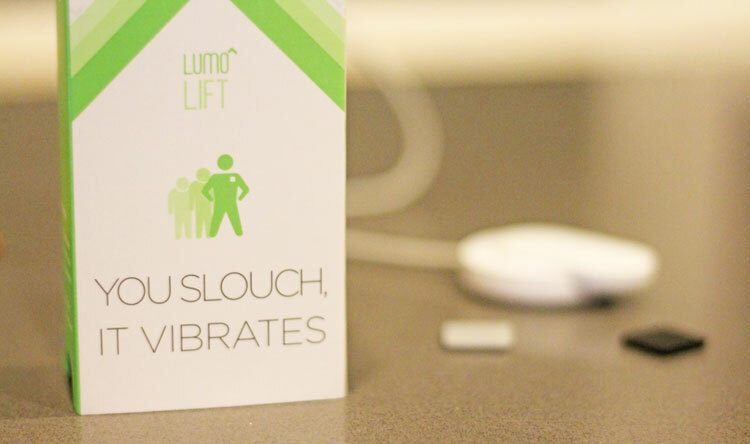 The Lumo Lift is like a personal trainer for posture! It was hard to train my body to have good posture at first, but now I am nearly effortlessly maintaining a straight back! If you are thinking about getting the Lumo Lift, I would highly suggest you stick with the annoyance at first, your shoulders, neck and lower back will thank you! It’s worth the frustrations after a few days or trial and error! No pain no gain, right? I think the Lumo Lift posture helper would make a great gift this holiday for almost anyone! It is one of the more impressive gift ideas I have seen this season and very useful! Buy the Lumo Lift online at Lumo Body Tech or on Amazon. 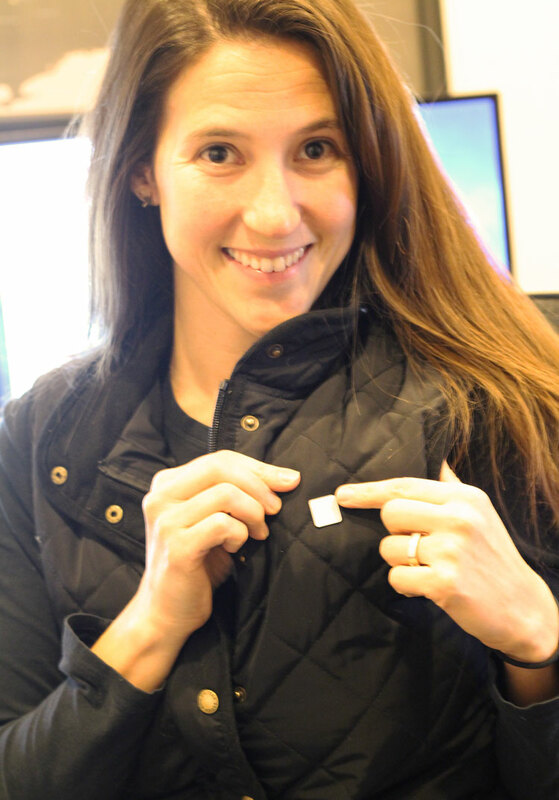 Use the code withourbest10 to take $10 off you order of the Lumo Lift posture sensor! I absolutely need this! I work all day on the computer, and my posture is abysmal. This would be a big help for me. That is an amazing product! I love that it is little and no one (But you!) knows what it is, but it helps to maintain proper posture!! This is so healthy for you! This is great! Although I don’t need anything like this because I have steel rods in my back, this I’m sure is awesome for the average person with that desk job. Continual slouching can lead to bad back problems. Wonderful idea! I really need this. I have a bad back (bad accident years ago) and my posture is not helping it one bit! I definitely need this device. I am so guilty of always slouching. This will help a lot. The Lumo Lift posture helper would make for a great gift idea for my sisters. I will have to add this to my gift ideas too because I know I could use help with my own posture. Thanks for sharing this awesome device and gift idea. What a cool idea. I think I have pretty good posture but there are times when I can tell I’m slouching. Working on my computer all day can do that to you. I’ll have to check out Lumo Lift.